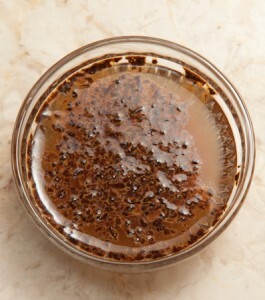 Dissolve instant coffee in water. 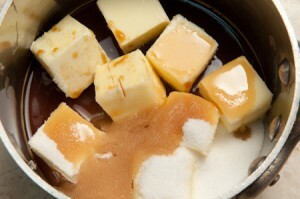 Combine butter, instant coffee, and sugar in a heavy saucepan. 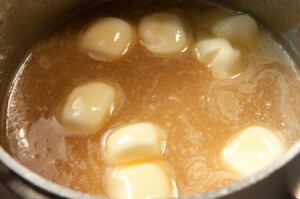 Heat until the butter is melted, and the mixture is steaming, but not boiling, stirring constantly. 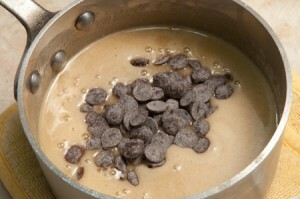 Remove from heat, add the chocolate and let sit for a few minutes. 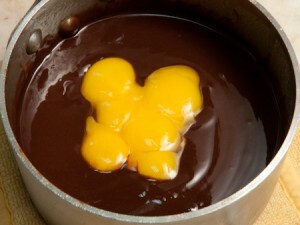 Whisk in the egg yolks and lastly the brandy. 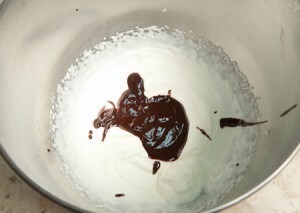 Pour 1 2 /3 cup (400 grams or 14 ounces) into the shell. 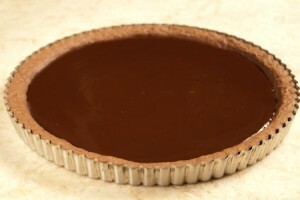 Refrigerate or freeze the tart briefly just to firm the filling as quickly as possible. 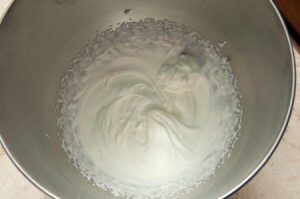 When firm, beat the cream just to soft peaks. Do not overbeat. 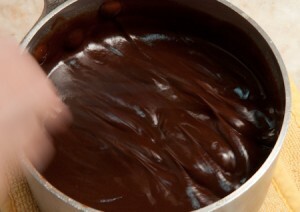 If the chocolate mixture is at all set, heat briefly, stirring constantly to return to a liquid state but do not let it get hot. 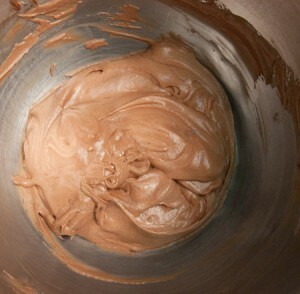 fold the cream into the chocolate mixture. 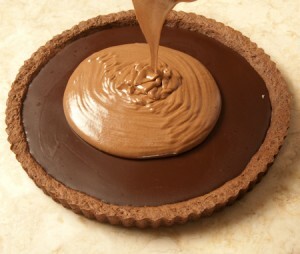 Pour over the filling in the shell. 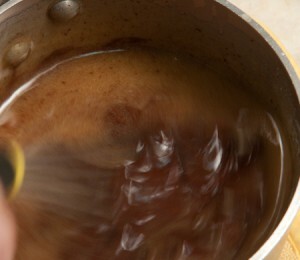 If the mixture is too stiff to pour, heat gently. Chill or freeze to set. 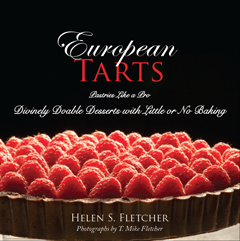 This entry was posted in Front Page and tagged chocolate, Dessert, pastry, tart on August 5, 2012 by hfletcher. 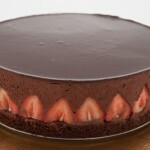 Hello Doug: Please forgive the lateness in getting back to you. We have been in the midst of moving from a house we lived in for 47 years and it has been daunting. 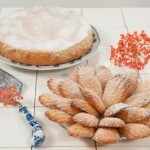 You are correct in that I did not give amounts for the two uses of the reserved filling. 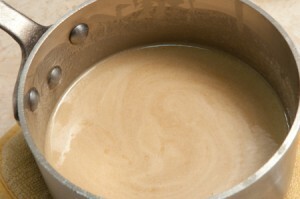 Keep about 1/3 of the reserved filling to finish the edge and use the remainder to mix with the cream. 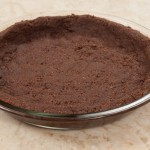 Hope this helps. 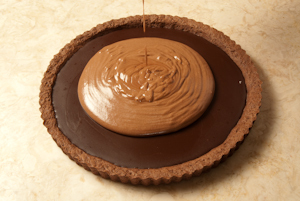 This is one of my favorite tarts.